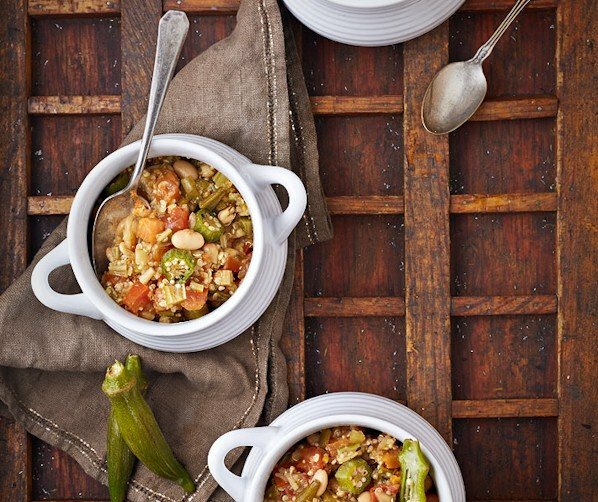 This recipe from Vegan Slow Cooking for Two or Just You is a wholesome twist to the traditional Louisiana okra stew. Mine adds nutrition-packed quinoa in place of the usual rice. Make sure to serve with your favorite hot sauce on the side so everyone can take it to the spice level they want it to be. 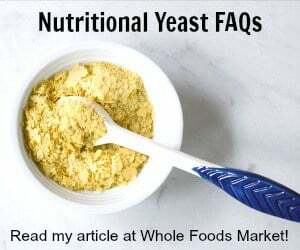 No white beans? Use what you have on hand. Small red beans or chickpeas would be a great substitute for the white beans. Also, if you have some left over bits of veggies, this is a good place to use them up! In the morning: Add all the morning ingredients and cook on low for 7 to 9 hours. Thirty minutes before serving: Add all the evening ingredients except the salt and pepper. Mix well. Cook for 30 minutes on low. Before serving, add salt and pepper. Taste and adjust any of the seasonings as needed. 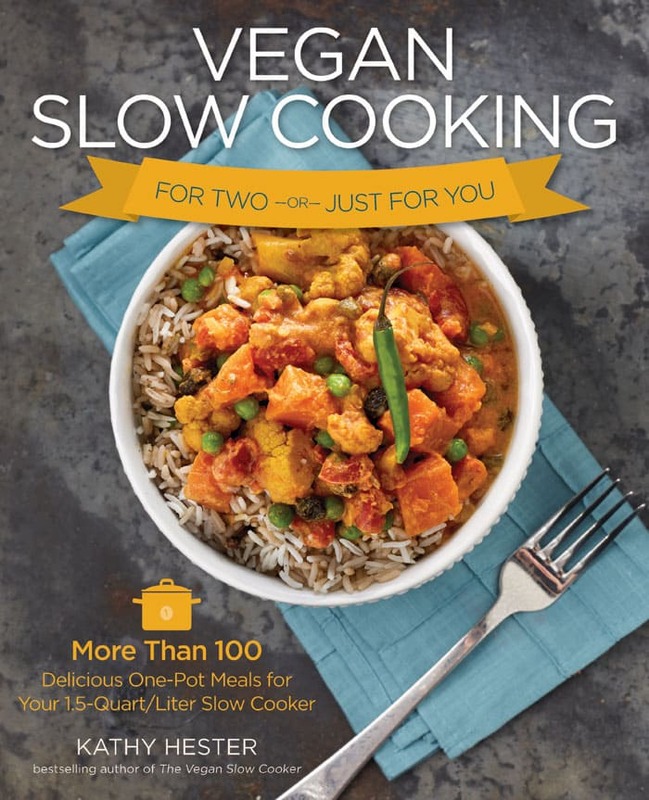 If you have an singles or couples on your holiday list try getting them Vegan Slow Cooking for Two or Just You and a 2-quart slow cooker. It’s a great combo for new vegans, empty nesters, retirees and those who want just enough vegan food. A 2-quart slow cooker is small enough to fit in a dorm room, tiny apartment, or travel with you in your RV! Another great gift combo for a family of 2 or more is a 6-quart Instant Pot or Fagor Multi-cooker with The Ultimate Vegan Cookbook for Your Instant Pot. This gumbo looks so rustic, comforting and yummy – just right for a warming autumn dinner after hiking or football! I love the flavors of New Orleans, but they’re not always very healthy, so this is just fantastic! Thanks, Kathy! This looks great, so did the quinoa taco filling on the Vegan College giveaway. By the way – the first entry on the rafflecopter says to leave a blog comment and then there was no where to leave it, so I am leaving it here. Worst college food was the weird muffins. I made the gumbo yesterday. Very flavorful, wasn’t expecting it to be soupy, but I have never made gumbo before. I just got the book and everything looks so good. I love the concept, it’s just me and a cat in my apartment and I can only go through leftovers for so long before getting bored. I also made something from the bean book a couple days ago. I made the red bean jambalaya, my parents and I loved it. It was also good for leftovers the next day, very economical. OMG! I want this now that fall is here…Amazing recipe, I am going to try this when I get my new cooking equipement. Thanks so much for sharing! Is the quinoa supposed to be cooked when you put it in at the end, or dry? You put it in dry. Hi, can you double or triple this recipe & put it in a 6 quart slow cooker?